British firms are being warned not to do business with one of China's leading companies over "potential risks" to national security. The National Cyber Security Centre (NCSC) has written to UK telecoms providers to warn against ZTE after it was linked to selling US equipment to Iran and North Korea. It came as the US Commerce Department on Monday barred the state-owned company - which makes mobile phones and network equipment - from importing American components for seven years. Dr Ian Levy, technical director of the National Cyber Security Centre, said: “It is entirely appropriate and part of NCSC’s duty to highlight potential risks to the UK’s national security and provide advice based on our technical expertise. ZTE works with BT in a research partnership. A BT spokeswoman told the BBC that the company had "a robust testing regime in place" to ensure its network remained secure. The Chinese Ministry of Commerce said Beijing was ready to protect its "legitimate rights" after the US authorities penalised ZTE. "The Ministry of Commerce will pay close attention to the progress of the situation and stands ready to take necessary measures to safeguard the legitimate rights and interests of Chinese companies," it said in a statement. ZTE suspended trade on the Shenzhen and Hong Kong bourses on Tuesday as it became engulfed in the controversy. "At present, the company is assessing the full range of potential implications that this issue has on it, and is communicating with relevant parties proactively in order to respond accordingly," the company said. ZTE, which is headquartered in the southern city of Shenzhen, pleaded guilty in March 2017 and agreed to pay a $1.19bn (?829m) penalty for shipping the telecoms equipment to North Korea and Iran in violation of US regulations. US officials claim the company failed to uphold a plea agreement that it would discipline workers who sold the equipment. 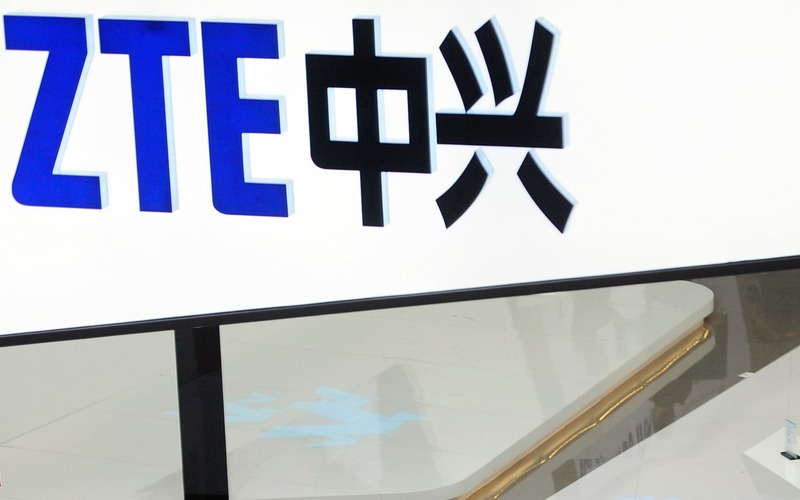 The company "covered up the fact that ZTE paid full bonuses to employees that had engaged in illegal conduct, and failed to issue letters of reprimand", the US Department of Commerce said. "Instead of reprimanding ZTE staff and senior management, ZTE rewarded them. This egregious behaviour cannot be ignored," said US secretary of commerce Wilbur Ross. Dr Levy also made reference to another Chinese telecoms company, Huawei, in a letter that he sent to UK telecoms companies, the Financial Times reported. The letter said the UK telecoms network already contains a "significant amount" of equipment supplied by Huawei, meaning further equipment and services from another Chinese supplier would "render our existing mitigations ineffective". Additional reporting by Christine Wei.